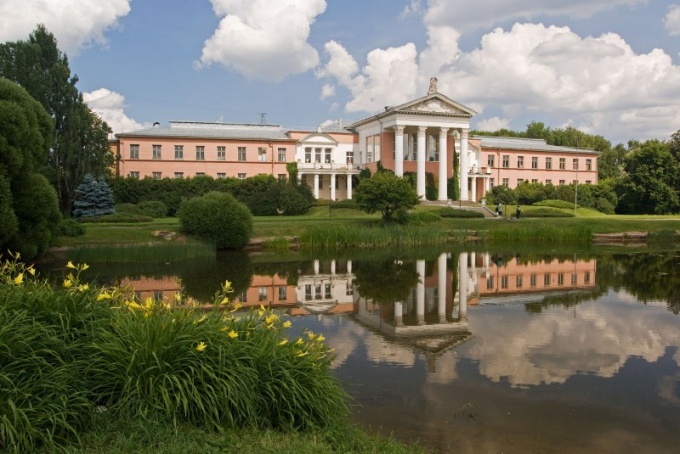 The main Botanical garden in Moscow - the largest Botanical institution in Europe. It first opened its doors to visitors in 1945 and is still from 29 April to 19 October receives hundreds of tourists. The Botanical garden is open all days except Monday and Thursday. In it, you can visit the arboretum of conifers and deciduous plants, a greenhouse and a Japanese garden. Mode every day is different, so it's best to call in the Botanical garden and find out what tours are now being planned and how many. The Botanical garden can be reached by metro and then walk a little. Near the exit from the station "vladikino" is a small gate to enter the garden, and if you go down the street Botanical 20 minutes, you will see the main entrance to the garden. You can also drive to the metro station "Botanical garden", which is literally 300 meters to Park, but also not to the main entrance, and one of the side gates. The main entrance to the garden can be reached by bus No. 24 (from the metro station "Trubnaya"), No. 76, 85 (from the metro station "Alekseevskaya" or "Riga station") and # 803 (metro station "VDNH"), buses №№24m, 258м, 373м and trolley buses №№36 and 73 (from metro station "Altufevo"). Stop where you need to go, and called "the Main entrance of the Botanical garden". To get to the "Botanical garden" on the car, to get to the district "Marfino" on the highway A104. Here is the "Botanical garden" at the Botanical street, building 4. On a field trip do not take overall bag and wear comfortable shoes because the tour lasts about 1.5 hours, and during this time you will find a garden walk. Every month you can again enjoy the garden, since some plants Bud, bloom, you will be able to see something new at each visit this Park. The cost of visiting different excursions garden for adults from 100 to 200 roubles, for schoolboys, students and pensioners the price is less than half. For the photos and video you need to pay separately, let alone what to photograph there is always.